Get f(u)ntastic tips on this page on: how to dress ...or not to dress ... ...or browse these pages for more background ...or previous candidates. NEW: These pages are filled with free advice. In a time before social media became part of "The New Order" of finding the news, and getting your voices heard, this served its purpose. 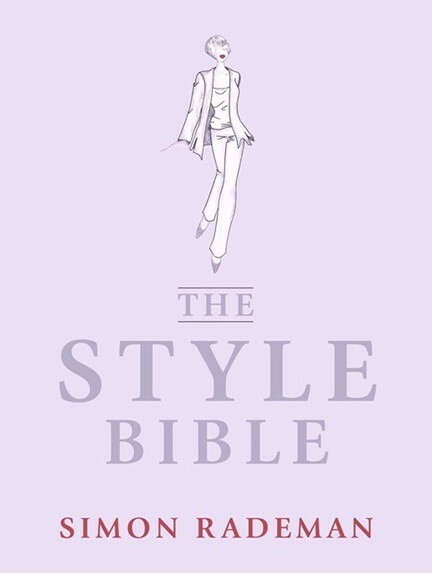 While it is now documented in The Style Bible for anyone to read on line, the pages will remain here as a reminder. Several of "the worst" have gone on to soar as fashion and style icons, while some of the best sometimes wear something so bad, that the accolades on these pages have come back to haunt me - and vice versa. Criticism is only a good thing if combined with proof, and substantial unsolicited advice. It may leave the individuals interested in True Style with a clearer path to a possible solution to go higher than those who chose to go low at public events. Simon Rademan's opinions after 2013 are now found on various social media (fb, twitter, linkedin) and yes, there is always a list (even right now), but some very powerful people in very high places prohibits us from publishing them. We will refrain from calling them out at this time, but it does not in any way change the opinions expressed at the time these pages were first made known. Are you a first timer? Are you a regular? C - the event you are attending. Unfortunately it is that one big mistake that allows people to judge. As a fashion designer (a representative of fashion to those who seek my expertees), I have to allow for personal taste. I can never say if a bow suits a person. It is also not important if I like/dislike bows, but… I can advise on what colour, what shape, how big or small the bows should be, how many there should be, and where it may be worn. 2011: The candidates have been announced! 1301 Style-watchers from all over South Africa have nominated 84 individuals, and a shortlist of 42 people was published. The top 10 candidates were announced on 7 January 2011. 7 407 votes were received. Thank you to all that participated. 2010: 1275 Style-watchers from all over South Africa have nominated 107 individuals, and this year a shortlist of 42 people was published. the top 10 candidates were announced on 7 January 2011. A new record number of votes was received: 7 812! Thank you to all that participated. 2009: The candidates have been announced, the voting process has ended and the top of each list will be announced in the media shortly. 2008: 2 012 Style-watchers from all over South Africa have nominated 117 individuals. The top 10 candidates have been announced on 5 December 2008. An astounding 8551 votes were received for this year's SA best AND worst dressed women! Thank you to all that participated. 2007: 2 136 Style-watchers from all over South Africa have nominated 78 individuals, the top 10 candidates were announced on 4 January, and an amazing 4375 votes were received for this year's SA best dressed woman - 2007. 2004: Voters from Huisgenoot, You, Beeld, Rapport, Radio sonder Grense, Citizen, Sunday Times and visitors to this site, voted for the top of this list. 2003: Huisgenoot and YOU Magazine was the bearer of good and bad news during this year. 2002: SW Magazine was the bearer of Good and Bad news during this year. 2001: During the first year only a worst dressed list was compiled and published by Rapport. Candidates are nominated by the general public. Photos (as proof) are always welcomed. This is not a ‘love’ list, nor is it a ‘hate’ list. The public may only vote for the finalists after the top twenty have been announced. This list does not necessarily reflect Simon Rademan’s personal design-style. The age-restriction is from 18 to 99. All women in the public eye are eligible for both lists. This list bears no reflection on the character of the candidate, only on her dress-sense. Listings may be based on one photo only. Nominees may not feature on any list for two consecutive years. Nominees may feature on the opposing list during the following year. Only published photos will be considered for the list. In the event of someone being nominated for both lists, the majority-rule will apply. The subsequent comments by Simon Rademan reflect his professional opinion on figure analysis, wardrobe planning and fashion interpretation. This list has to be representative of women from all walks of life.